Jiu Jitsu for all: yellow belt to green belt guides the reader through the requirements of these novice Jiu Jitsu belts. Using clear step-by-step photography, it covers: introduction - the history of Jiu Jitsu, preparing to train (mentally and physically), and working together techniques - strikes, throws, locks, groundwork and weapon defences self-defence - practical application putting it all together - bringing together the techniques for belt gradings. Jiu Jitsu is a unique martial art helping the student to develop new skills, improve fitness and defend themselves if necessary. By following the clear guidance in this book, the reader will be able to progress through the belts. 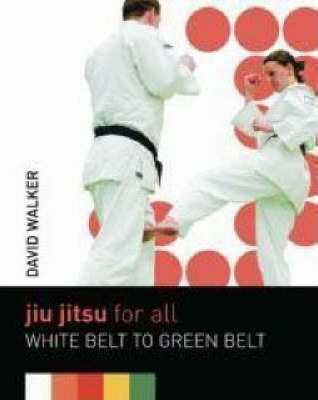 David Walker is the former Director of the Jitsu Foundation, one of the largest Jiu Jitsu organisations in the UK. Still an active member of the Foundation, David holds the fighting grade of 'sandan', the highest attainable within the Jitsu Foundation, and the highest teaching grade of 'tertiary fellow'.